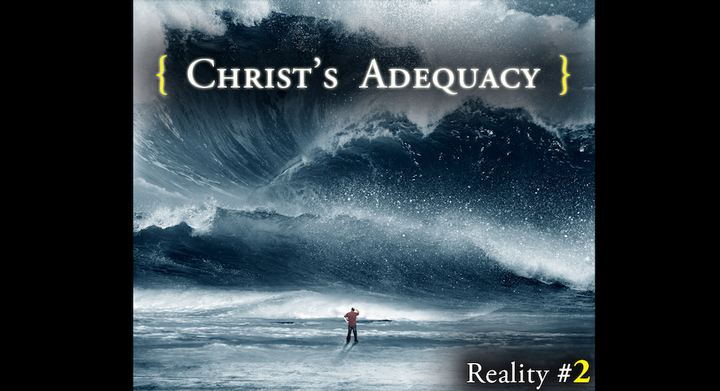 [RECAP] Reality #2 is this: Jesus will do what He can do through you for the rest of your lives. Jesus says, 'I will be with you and when it looks as if I'm going to pass by you, when it looks as if I'm going to desert you, when it looks as if you're all alone… that's the moment, when His glory will come through most powerfully. Now, very significant, in Mark 6:50 or really back in Mark 6:49, "…when they saw Him walking on the lake, they thought He was a ghost." (Mk 6:49). You see, these men had a belief and that belief was that the sea of Galilee was inhabited by demons. And there is demonic play on the sea of Galilee, there was in our Lord's day. And so they thought at first that He was a demon. And they cried out because they saw Him. And they were terrified. "Immediately He spoke to them and said, "Take courage! It is I. Don't be afraid." (Mk 6:50). And then He climbed into the boat with them and the wind died down. You know, I think I don't know what the Lord would have done had he gone before them…passed them by as it were. I don't know he would've revealed His glory. I don't know if He would've stopped the storm or if He would've walked in front of them and cleared the way for them now to row with the storm all around them. That's exactly what He did in the book of Acts, that's exactly what He's done through history as He has gone through us and as He has protected so many and shown who He is. Even as He is doing it today all over the globe in ways no one ever thought possible. But He got in the boat with them, the storm stopped and they were completely amazed, they're blown away, they're stunned, they don't know what to do. They have no idea how to process this. And why were they so amazed? "For they had not understood about the loaves;" (Mk 6:52). Do you understand how Jesus works? He's not a mid-semester and final professor. He doesn't give the mid-semester and then wait another eight weeks and give the final. That's not how He works. If He gives you the lecture in the afternoon, He tests you in the lab that night. And the feeding of the five thousand was a lecture, the storm of the sea of Galilee, that was the lab. And the disciples didn't expect Him to come. But He did. And as leaders, you've got to learn to expect Him to come. Not on your terms, not on your timing, not in ways that you think up. He does things in His own way and His own time. But you know what? The disciples missed both of the first two realities. You must do what you cannot do with what you do not have for the rest of your lives. Jesus will do what He can do through you for the rest of your lives. What we don't have, He has. But there's one major problem. They didn't learn anything from the incident with the loaves. You know why? Because their hearts where hardened. Hardened hearts. The primary issue in the lives of the disciples and the primary issue in our lives as well.